Welcome to MOLLY MAID of Chesapeake, Norfolk and Suffolk, where we believe earning your trust is just as important as a clean home. That is why we perform every clean according to the needs of our customers. We are looking forward to making your home sparkling clean while giving you back some of the free time you deserve. After all, we’re maid for this! 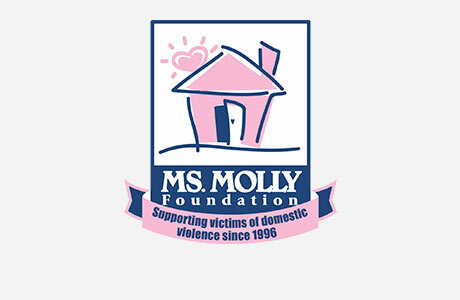 Molly Maid has been serving the Southeastern Virginia area for over 10 years and has established a reputation for exceptional cleaning. Spend your time doing what matters and let Molly Maid do the cleaning. Our Chesapeake home cleaning services are designed to fit into any schedule. Our maids provide kitchen cleaning, bathroom cleaning, and bedroom cleaning. Use the time saved from cleaning to do what you want to do! We’re proud to serve Southeastern Virginia’s neighborhoods and suburbs. We particularly service Chesapeake, Norfolk, Suffolk, Portsmouth, and all of the surrounding areas. Don’t just take our word for our service. We have won the Best of the Best House Cleaning Service in Southeast Virginia twice. Molly Maid does those repetitive cleaning chores that our customers used to spend their Saturday doing: fixtures, furniture, window sills, baseboards, floors, and more! Why should I choose Molly Maid of Chesapeake? You should use a cleaning service because you deserve some free time and a clean home. You should choose Molly Maid of Chesapeake because we ARE the Best of the Best House Cleaning Services and because we are actively involved in making Southeast Virginia a great place to live through our involvement with the H.E.R. Shelter. You can find less expensive alternatives, but as they say, you get what you pay for. Independent cleaners are a significant tax and insurance liability to their employers, which is the homeowner in most cases. Smaller companies competing on price might be cutting corners somewhere. Molly Maid is fully licensed and insured, and our staff is fully trained before cleaning in your home. Plus we stand behind our work: If you are unhappy with the work you requested for any reason, let us know within 24 hours and we will gladly return to clean the area again at no cost to you. With over our 10+ years of service, we have given our customers time to do what matters. Would you also like to spend less time cleaning and more time for yourself? Give us a call today (757) 663-5289!